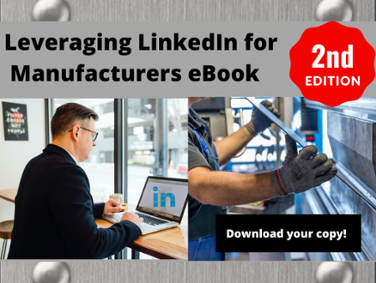 Are you ready to ‘get’ marketing for manufacturers? Business-to-business manufacturers have countless ways they can choose to connect with their prospects and customers. Trade conferences, traditional advertising, industrial marketing, social, digital marketing and the list goes on and on. Many times, manufacturers have difficulty gauging return-on-investment between their marketing and sales efforts. Even across sales departments, ROI becomes difficult. Are you frustrated with lead generation? Struggling with sales volume? That’s where we come in. Felber PR combines traditional public relations with inbound marketing to attract visitors to your website, convert them to qualified leads and create targeted, industry-specific content to shorten the sales cycle and turn prospects into customers. This is why we say We Get Manufacturing.